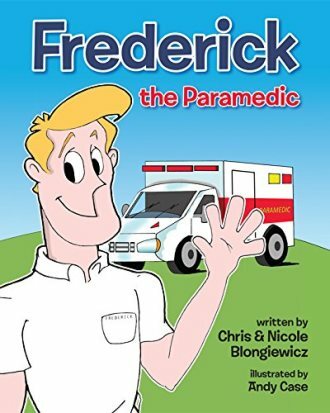 My wife Nicole and I have over 25 years of combined experience as paramedics, and we are now co-authors of the new children’s book Frederick the Paramedic. Through the years, we have seen an increase in pediatric 911 emergency calls, and they all have one thing in common – the patient may be more scared of us that what is actually ailing them. This can lead to several negative factors, such as increasing their anxiety level, which may lead to worsening their condition. Typically, a child’s point of reference regarding medical care is that they are going to receive a shot or some other uncomfortable procedure. This series is designed to alleviate some of those fears by putting them in control, and even prevent an incident from happening. After the birth of our daughter Sophia in 2013, and many picture books later, we noticed that there are plenty of story books about safety, but almost none about what happens if you do get hurt. We’ve also seen that much of the children’s literature regarding EMS is in the form of a pamphlet or flyer, which has no identifiable characters, and is easily tossed away. Also, we noticed that the characters are often fantasized, which does not provide a true representation of what really happens – this is why the stethoscopes in our book don’t talk! We want to provide as close to a real situation as possible, but in a fun cartoon form, so that there are no false expectations. This is how Frederick the Paramedic came to be. 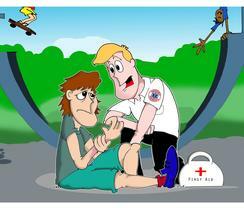 In our first book, we designed Frederick the Paramedic to promote safety, injury prevention, memory recall, decision making, and EMS awareness. 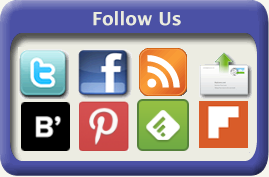 The reader will partner up with Frederick and go through a day in the life of a paramedic. Together they will check out their ambulance, get dispatched to a call, arrive on scene, assess and treat their patient, then transport him to the hospital and give a report to the doctor. By choosing common childhood activities, Frederick the Paramedic relates to what kids enjoy doing on a daily basis. Some of these activities may have potential for injury. Preventing injuries in the first place is one of the main goals of the book. But when they do happen, and 911 is called, your reader will understand that we are there to help. They will understand that we may need to touch their arm to make it feel better, and we aren’t there to make them feel worse. The great part about this concept is how dynamic it is. There can be a Frederick the Paramedic book about anything relating to childhood injury, sickness, or even witnessing a loved one being treated by a paramedic. That is where we are planning to go with this. Tackling issues such as food allergies and asthma, to grandparents with chest pains or signs of a stroke. In today’s economy, grandparents are watching grandchildren more and more. By educating the child to look for signs of a stroke and calling 911 early, can literally be a difference of life or death, as well as taking the child out of harms way. In the couple of months that Frederick the Paramedic has been available, we have received emails from people stating how the book has helped their child. One such example was from a school in Vermont where a 1st grader was taken by ambulance. The rest of the class was very upset and scared for their friend. Frederick was donated to their school library about a month after the incident, and the librarian was very excited to have a relatable book that she could read to the children. She realized that she had no other material that could explain what was happing until then. A little biased here, but my 3 year old nephew was going with my sister to a Dr. appointment, and asked if he would see Tommie there. It took my sister a minute to recall that it was Tommie from the book! But we have received several emails and comments about how kids have been recalling the story at times where they may see a hospital, or an ambulance. One mother stated her son asked if Frederick was on that ambulance. The fears that have been instilled in children at such a young age regarding medical establishments are breaking down. We hope you enjoy a copy with your little ones, and hope they never need an ambulance, but let them be prepared if they do! ​If you ever think you need to call 911, call! Everyone has a different idea on what an emergency is. Calling 911 is a scary time for anyone. Paramedics will assess the situation and provide the best treatments possible, while trying to ease the anxieties that go along with the patients emergency. Teaching your children as early as possible can to call 911 is an important skill for them to learn. In a situation where a caregiver were to have an emergency, it may save a life as well as their own.